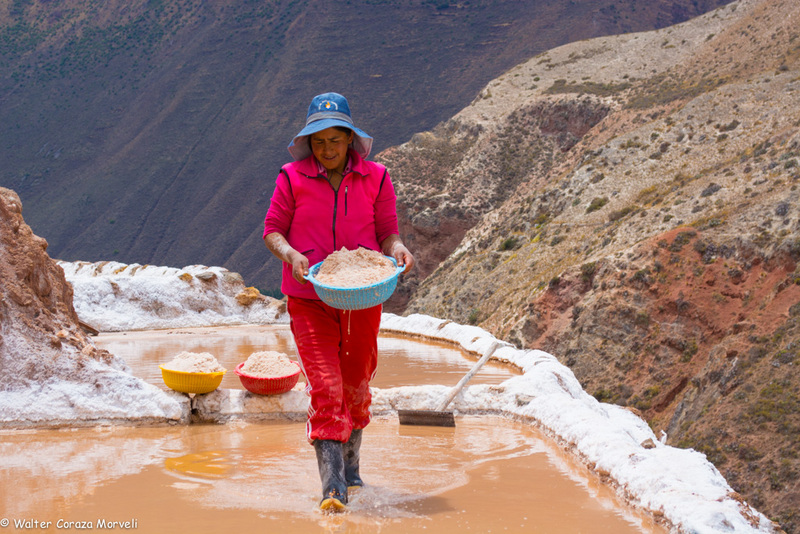 The pink salt of Maras in Peru is considered a rose colored gold. It has good properties for the benefit of our bodies and a wonderful flavor. 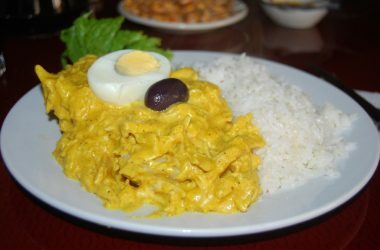 It has become a favored ingredient of Peruvian chefs and of Peru´s gastronomic boom. 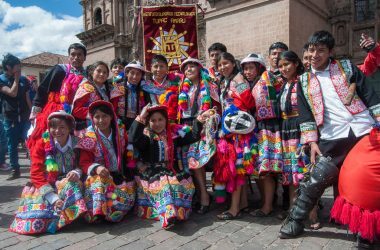 Last week I had the opportunity to visit Maras and appreciate its beauty. Besides being a marvel amidst nature and scenery it is also about culture and tradition. 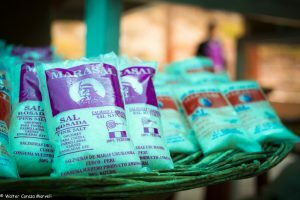 For thousands of years salt has been produced there in an artisanal form. Using ancient techniques this much valued product is derived from underground water and becomes something that can go to market and impress the world. 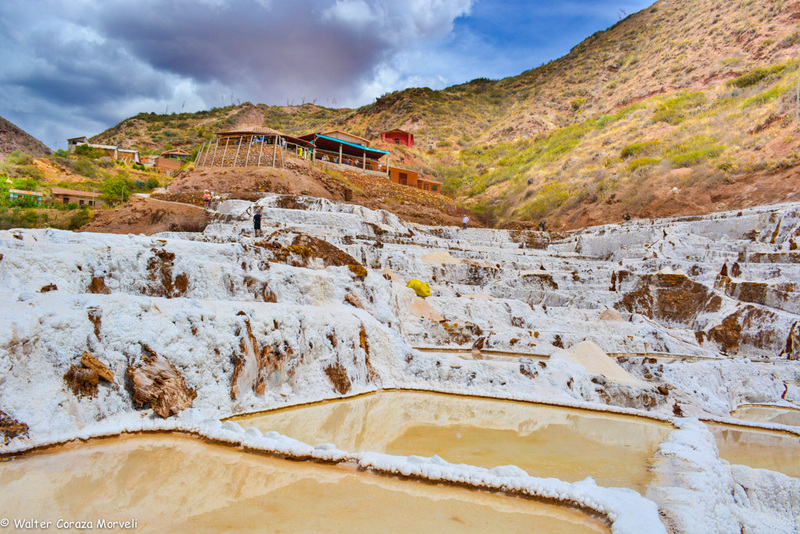 In Quechua salt is called cachi, People go to ancient stories in Quechua to explain the origin of this amazing place. 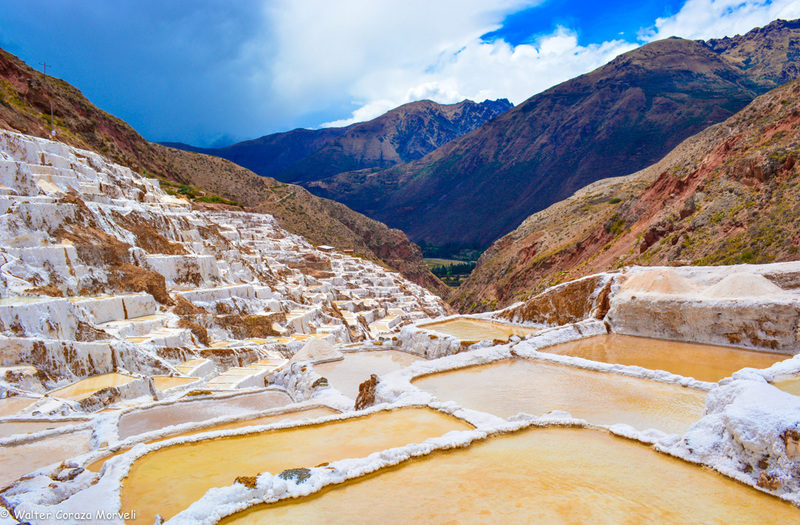 They say that the salt ponds derive from the legend of the Ayar brothers and sisters which is the origin tale of the Incas. According to the story the rebel and bellicose brother, Ayar Cachi, was converted into a mountain. 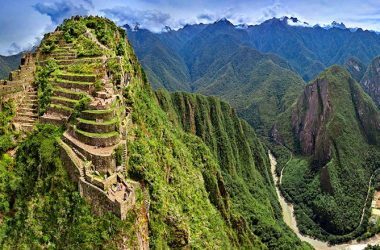 It is said he broke into outrage and sorrow when he found out his brother Ayar Manco had become the head of the Inca Empire. 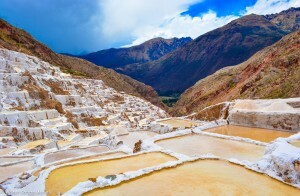 From his tears inside the mountain comes the salty water that when dried in more than 300 ponds leaves the salt of maras. From generation to generation our ancestors and now modern people collect this honored pink salt. Its thick grains and rustic look, so different from the normal kitchen salt, do not go through a refining process. They are only obtained by natural evaporation due to the sun and its effects. When I went there, my friend from childhood Percy showed me his family’s eight salt ponds. For many, many years they have worked their ponds. His mother told me that she was lucky to inherit the ponds from her grandparents, just as her brothers and sisters also inherited some ponds. Many people from her family, her aunts and uncles, are in charge of controlling and administrating the salt ponds, as well as maintaining them. Now the place is more than a simple factory for producing salt, it is an important archeological site and is visited by thousands of Peruvian and foreign tourists each year. As we began our visit, Percy showed me the ojo, the eye or spring from where the water comes out of the earth to fill the ponds. He said many people want to know where the water comes from and, as a result, had dug down several meters. They realized the water probably comes from the heart of the mountain Qaqawiñay. After he told me this story we became initiated when we tasted the water that flows down in natural canals. Everyone who visits here gets that baptism when they taste the water of maras. It had a deep saltiness, but after a second or so had passed you began to taste a much more subtle flavor and aroma. 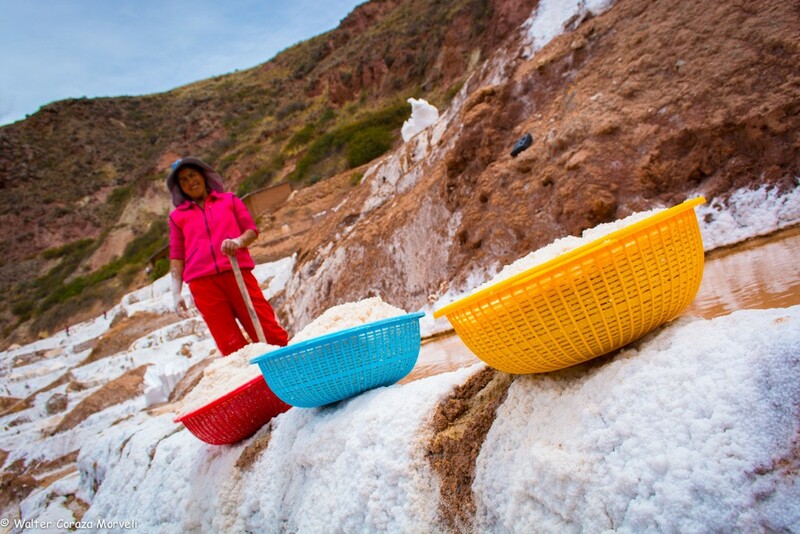 Beyond the promotion of the salt ponds for tourists, and the support for the community that offers, the Andean salt also is argued to have health benefits. Its principle benefit is an appreciable quantity of minerals such as magnesium to fight stress, iron to avoid anemia, calcium to prevent osteoporosis, and zinc to strengthen you immunological system. The salt has these benefits thanks to the rich environment in which it is produced, the effect of the sun who the Incas worshiped. 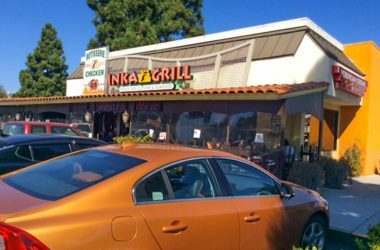 They knew that adding this sun-produced, Andean salt to their food gave them great benefits. It contributed to their strength and valor and they supported the ancient customs of evaporating the salt which continue down to the present.